When I was a top-producing agent, I used Facebook all the time. Try as you may, you can’t deny it; Facebook provides an easy way to grow your network AND shows your value as a Realtor. 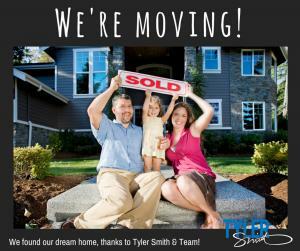 We’ve all seen that iconic shot of new homeowners, grinning ear to ear, looking like they just won the lottery, while holding a “Just Sold” sign. This photo permanently captures your client’s “my agent is the king of getting deals done” bliss. And you should be the one who takes it. If your immediate reaction is, “Great! One more thing I have to remember!” then listen up. This photo 1) shows the world how happy your clients are with you, while 2) introducing you to all their friends, family, and social network. 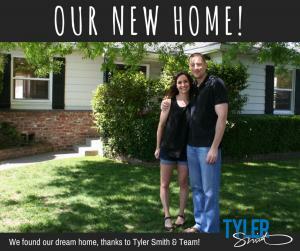 Take a picture of buyers outside of their new home with your phone. Share the picture on your Facebook Business page and tag your clients. I’ve mentioned it before, but anytime you create a situation where you are a conversation piece is a good thing. Whether sending clients pizza, or door bell ditching to create a lasting impression, you always want to make an effort to get clients wanting more of you. With this Facebook thing, there isn’t really an easier way to go about it. Clients appreciate the time you spend tagging and including them in your posts because it shows that you are constantly thinking about them. In turn, once you share these postings via Facebook, your clients’ friends will see the post and get a glimpse of what an awesome agent you are. Like I said above, there isn’t really an easier way to create client appreciation and generate leads at the same time. If you can’t do something as simple as this, you might want to consider doing something else professionally. Prove to me that you can! Go out and start tagging on Facebook!